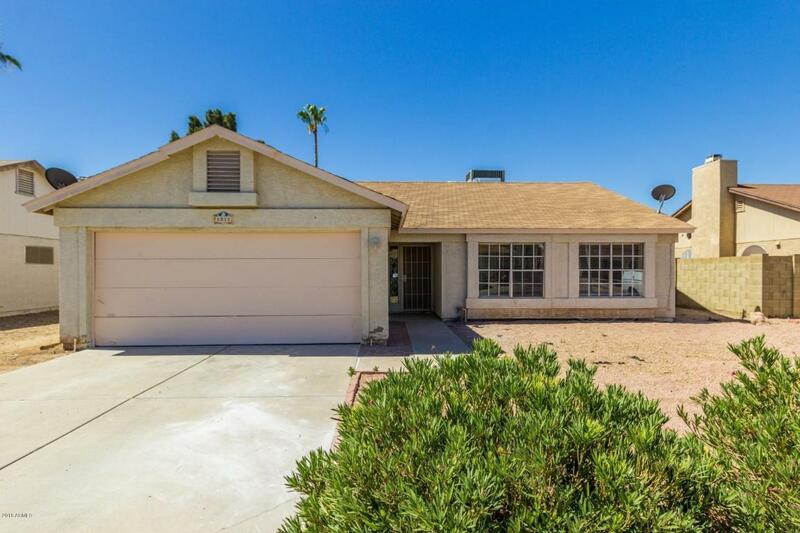 NO HOA - Freshly painted & ready to move in this 3 bedroom home with 2 baths welcomesyou. Open floor plan with a fireplace in the family room and views of the open backyard and covered patio. The master suite features separate exit to the backyard. 2 car garage with an inside laundry room. Great location minutes from the Cardinals stadium, Westgate, Topgolf entertainment, Desert Mirage golf course and casino. HVAC recently serviced along with additional updating done to the home makes this a move in ready home for you. Easy to own call today.